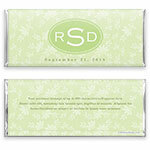 Celebrate your day in simple style with this classically elegant monogram wrapper. 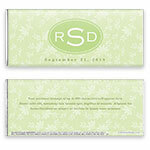 Design: Delicate leaf background pattern with oval monogram frame. 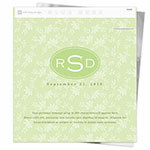 Personalization: Front monogram initials, date and back message.